CHEM CHEM SAFARIS started with a shared dream between owners, Fabia and Nicolas. The dream was to create a sensual safari in Tanzania where guests would slow down to really immerse into the area and its age-old rhythms; while restoring an ancient migratory corridor between Tarangire and Lake Manyara, and reigniting the passion within the surrounding communities to help preserve and protect this wilderness. CHEM CHEM LODGE — where herds of game wander between watering holes, savannah grasslands, and the vast salt pan. 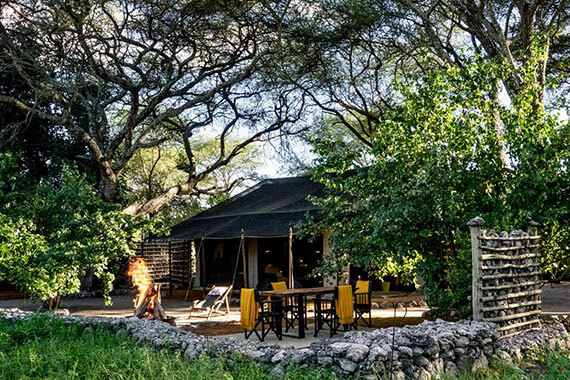 LITTLE CHEM CHEM — an elegant tented camp, getting as close to nature as possible, without sacrificing comfort. FOREST CHEM CHEM — an intimate, private bush camp, all about connecting with friends/family and exploring together. ONE (UN)COMMON THREAD — an unforgettable safari that contributes to this dream come true. 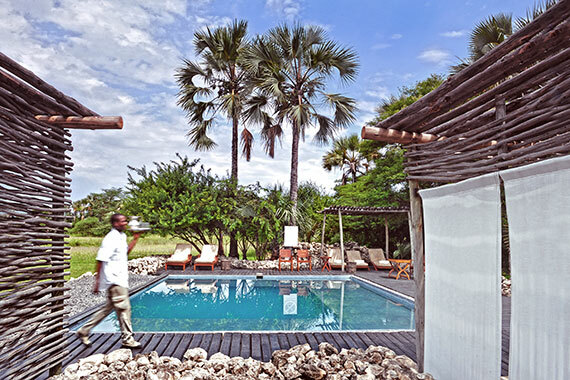 PERFECT FOR: The beginning or end of a Tanzanian safari. Refined style and charm.Giraffe, zebra and several other plains game right by your tent. Watch these stately creatures amble past as you relax by the pool, or sit quietly as you hear their sounds above your heartbeat. Chem Chem Lodge is about slowing down, taking it in, and being in the moment as you walk with your Maasai guide. PERFECT FOR: Those seeking a truly immersive safari with a focus on elephantsSet a short distance from an elephant pathway, there is no other place on earth where you can be in the presence of these African giants quite as spectacularly as around the Little Chem Chem concession. Walk with your guide to explore their territory on foot, or simply observe them from your private 4x4. See if you can recognise their features in the elephant identification manual. PERFECT FOR: Exclusive use for families or a group of friends. Your camp. Your safari.In the same concession as Little Chem Chem, Forest Chem Chem offers an opportunity of true disconnection. In our daily lives, as we are always hurrying and being constantly overwhelmed, Forest Chem Chem offers the space, privacy, and respect for families to gather, reconnect, and find their reason for being again. 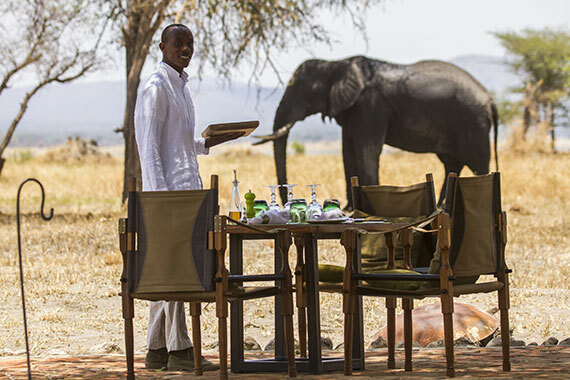 PERFECT FOR: Everyone seeking a soulful safariThe same elegant style, the careful attention to detail, the impeccable food and magnificent experience. Chem Chem embodies a private safari, with a real understanding of the responsibility to preserve our wilderness areas for future generations. By working with government, their national parks and communities, CHEM CHEM SAFARIS have been able to reestablish this area as one of the most wildlife-dense and exciting private photographic safari destinations in northern Tanzania. With ♥ (and that is the nearest we get to being mushy this Valentine's week)! 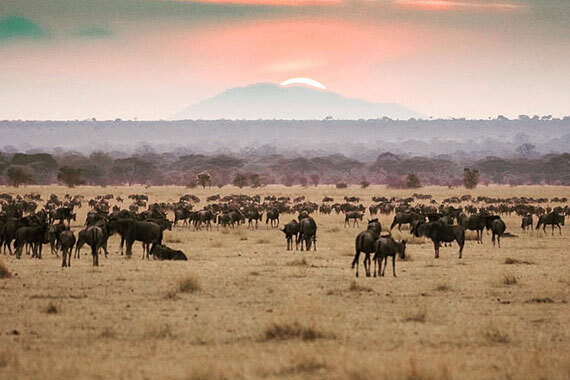 WHAT WE LOVE: This low-key, unassuming country is also home to some of Africa’s most famed tourist destinations: Serengeti, Ngorongoro, Tarangire, Kilimanjaro, and Zanzibar. While most visitors will congregate at these undeniably exotic spots, Tanzania has many other hidden natural, historical and cultural gems; including 19th-century caravan routes, once-famed ports of call for Oriental merchant ships, ancient rock paintings, Africa’s largest protected natural area (Selous), as well as prime destinations for seeing chimpanzees in the wild. All this is held together by the beauty and dignity of over 100 ethnic groups that live amicably in Tanzania. Tanda Tula Safari Camp is one of South Africa's most luxurious East African styled tented safari camps. Owner run and managed by Don & Nina Scott, Tanda Tula Safari Camp provides an unforgettable safari experience, with unprecedented attention to detail. Shaded by majestic trees and overlooking the Nhlaralumi riverbed, their 12 spacious tents boast their own private deck with uninterrupted views of the wilderness ahead. Each tent is complete with en-suite bathroom and outdoor shower. There are fantastic walking opportunities as well as 4x4 safari activities on offer at Tanda Tula taking advantage of it's enviable location where game is able to roam freely between the Timbavati and Kruger National Park as they are not fenced. The Timbavati is also recognised for it's low human impact, all lodges in the area coordinate their game viewing activities according to strict controls which ensure the sustainability of our bushveld and sensitivity to the wildlife making for an authentic and unspoilt experience.